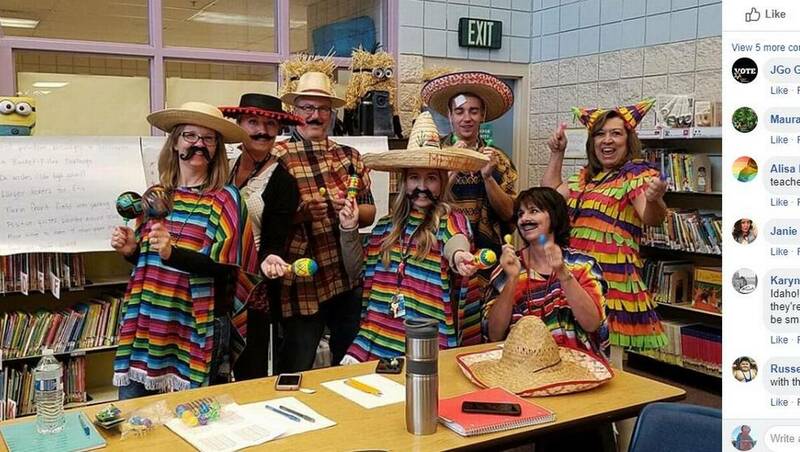 Idaho school employees who wore costumes of President Donald Trump’s proposed border wall and outfits depicting Mexicans have petitions for and against them. A Change.org petition, “Save our Middleton Teachers, Staff, and Principal! !,” has nearly 17,000 signatures as of Wednesday morning. A competing petition on MoveOn.org, “No Racism in Middleton School District,” has almost 13,000 signatures against the Middleton Heights Elementary School staff. 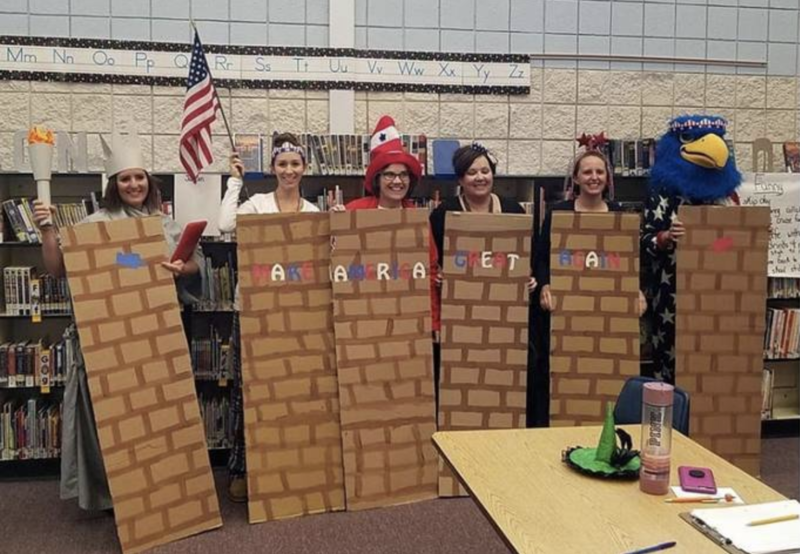 The outfits were allegedly part of a “team-building activity” to see who could most accurately portray a country based on stereotypes, a Facebook post claimed, according to the Idaho Press. Board of Trustees Chairman Tim Winkle confirmed the information from the post. One of the counter petition’s demands is to change school environment and its culture. “Identify school wide approaches to provide awareness and consciousness of systemic racism through culturally relevant curriculum, policy change, review of hiring practices, and district wide training,” the counter petition said. Middleton Heights Elementary is made up of about 13 percent of Hispanic students, according to Idaho Ed Trends. The costume incident comes during a time when Trump has taken hard stances against illegal immigration, including a consideration to shut down the border as a large group of caravan migrants travel from Central America to the U.S. hoping to get asylum.